1. I Have a Dream by Martin Luther King, Jr.
2. I've Been to the Mountaintop by Martin Luther King, Jr.
8. Beyond Vietnam by Martin Luther King, Jr. In addition to these great speeches, you can listen to over 25 one-hour audio books that highlight some of the greatest speeches of the past century. For years now we've been selling the audio books of Speechworks on audio download. Their audio books feature highlights from great speeches of past presidents and notable figures like Sir Winston Churchill, Martin Luther King, Jr., Joe DiMaggio, and Muhammad Ali. Now over 25 of their audio books are available to stream for free from Spotify. We still sell them on audio download but have embedded the albums on Spotify on our these pages. Please Note: In order to listen to these audio books you'll need a free Spotify account. You can listen for free with occasional ads and they also have Spotify software for easier listening on your computer. If you want to listen ad-free and on a smart phone and you love music as well, we can't recommend Spotify Premium highly enough. Lots of speeches on audio & video to choose from. Be inspired by some of the most famous speeches of all time on LearnOutLoud! In recent years many of Dr. Martin Luther King, Jr.'s speeches have been made available for free on audio & video from The King Institute at Stanford and The King Center in Atlanta. In this post we'll feature 35 prominent speeches and sermons that Dr. King delivered in his lifetime that are available to listen to for free on audio & video. Delivered on August 28th, 1963 at the Lincoln Memorial in Washington D.C., King's passionate call for justice and equality was the battle cry for the Civil Rights Movement in America. The 17-minute speech called for an end to racism in the United States during the March on Washington for Jobs and Freedom, which was a defining moment of the Civil Rights Movement. On April 4th, 1968, Martin Luther King, Jr. was assassinated in Memphis, Tennessee. The night before he was assassinated Martin Luther King Jr. delivered his prophetic "I've Been to the Mountaintop" speech. In this stirring speech Dr. King looks back on his life and is thankful for all the positive changes in civil rights that occurred in his lifetime, and he is grateful to have lived in the second half of the 20th century when masses of people all over the world were standing up for freedom and human rights. Watch a free dramatized version of Martin Luther King, Jr.'s "Letter from Birmingham Jail". Written 40 years ago on April 16, 1963, Dr. King wrote this while in jail in response to a statement by 8 white clergymen who argued that the battle against segregation should be fought in the courts, and not in the streets. In his letter, Dr. King argues for nonviolent direct action in response to unjust laws. The letter contains many great quotes including "Injustice anywhere is a threat to justice everywhere" and "Justice too long delayed is justice denied". This special 1-hour video is a recording from the University of Texas at Austin filmed in an old Georgetown, Texas, jail sitting in for Birmingham in 1963, with actor Corey Jones playing Dr. King. Listen to this brief yet powerful speech that Dr. King delivered upon receiving the Nobel Peace Prize in 1964. In the speech Dr. King talks of the ongoing "creative battle to end the long night of racial injustice" in the United States which by that time had led to the passage of the Civil Rights Bill. And King speaks of his hope that "mankind will bow before the altars of God and be crowned triumphant over war and bloodshed and join together in brotherhood." Listen to this inspiring sermon from Martin Luther King, Jr. In this speech, delivered in the year he was assassinated, Dr. King looks back on his life and hopes he will be remembered as a "Drum Major for Justice". King sees the importance in the "drum major instinct" that drives us to lead and be recognized, but points out through Christ's teachings that the greatest leaders are those who serve others and put justice before their own gain. Now we'll give you a list all of the speeches including many new ones we've recently added to our LearnOutLoud.com Free Audio & Video Directory. The King Institute offers text and streaming audio of many of Dr. King's most famous speeches. They are available through a Flash player on their site so if you're on an iPhone or iPad the flash player won't show up. But no need to worry we've also embedded video of all of these speeches from YouTube. Also The Martin Luther King, Jr. Center for Nonviolent Social Change has uploaded many of Dr. King's speeches to its YouTube channel in the past year and we've now added many of these to our site. Carmine Gallo is the author of Talk Like TED and The Presentation Secrets of Steve Jobs. In this talk Gallo brings his message that if you want to inspire people with your message, then it has to be understandable, memorable, and emotional. He breaks down each of these three secrets. Gallo also reminds us that you've gotta have passion for your vision and what you are inspiring people to do. He uses examples from Steve Jobs, Howard Schultz, and other business leaders about how to passionately communicate your message. Download this classic work of on public speaking as an MP3 download through ejunto.com. Watch this course covering the Fundamentals of Public Speaking taught by professor Deborah Bridges at the University of Houston. This course contains 7 lectures and over 4 hours of instruction which cover beginning theory and practice of informative and persuasive communication. Professor Bridges sticks close to the textbook in this course covering essential areas of public speaking and teaching how you can improve your skills in this area. The course is available on streaming video through YouTube. The Great Courses is offering this free video lecture from their course The Art of Public Speaking: Lessons from the Greatest Speeches in History. Professor John R. Hale uses Dr. King's speech as an example of a great inspirational speech. He discusses the beginning of the speech and why it is not nearly as remembered as the final "I Have a Dream" part of the speech. He talks about how Dr. King invoked Abraham Lincoln and used Biblical phrasing in much the way Lincoln did in his day. And he mentions King's ongoing optimism throughout the speech which helped to inspire the crowd. Professor Hale emphasizes points that you can use from the "I Have a Dream" speech to optimize your own public speaking ability. Listen to over 100 free podcasts on The Public Speaker's Quick and Dirty Tips for Improving Your Communication Skills Podcast. Hosted by Lisa B. Marshall, these 10-minute podcasts nail home topics such as how to introduce yourself and remember names, how to use body language, how to improve conversations, and how to calm your nerves before that big public speech. And she's an excellent speaker! Welcome to our Resource of the Day e-mail! One of our favorite free titles in our free directory is Martin Luther King, Jr.'s classic "I Have a Dream" speech. Delivered on August 28th, 1963 at the Lincoln Memorial in Washington D.C., King's passionate call for justice and equality was the battle cry for the civil rights movement in America. It is the first and latest podcast listed on our "Great Speeches in History Podcast". If you click "Listen to Podcast" you will hear it, or if you scroll down the page (past the reviews) you'll see it and you can click "Download File - 7.7 MB" to download it. It's not listed yet on iTunes but if you "Subscribe Free" to the podcast then the "I Have a Dream" speech will download in iTunes. Please check out the other great speeches we feature on the podcast as well. Learn more about the historical significance of Martin Luther King's "I Have a Dream Speech" and why it is considered a great speech with this free recent talk from the Aspen Institute given by philanthropist David Rubenstein. Rubenstein takes a look at some of the most famous speeches in history and analyzes why they are considered great from the historic time they were delivered to the rhetorical devices that were used in the speeches. Dr. King's "I Have a Dream Speech" fits most of the criteria, except that King improvised from his originally written text to deliver the final stirring "I Have a Dream" oration. Rubenstein puts the speech in historical context and points out that the speech really didn't come to prominence until after Martin Luther King's death in 1968. Yesterday President Barack Obama took the oath of office as the 44th president of the United States and delivered his second inaugural address. He spoke of many of the ongoing issues he has faced during his presidency including ending a decade of war, and the ongoing economic recovery. He made many references to American history, and our collective effort to carry out the ideals of our founding fathers. This speech is available on streaming video from YouTube and on MP3 audio download from American Rhetoric. Listen to this eulogy from Dr. Martin Luther King, Jr. after the killing of four children during the U.S. Civil Rights Movement. The 16th Street Baptist Church bombing on Sunday, September 15, 1963 killed four girls, and marked a turning point in the Civil Rights Movement. Dr. King's words are particularly poignant today in light of the recent violent tragedies in the United States. Listen to this rare recording of a 1 hour speech that Dr. King gave on March 24, 1963, the same year of his "I Have a Dream" Speech which he delivered on August 28, 1963. This speech takes a more comprehensive look at the history of African Americans and their journey from slavery to segregation to the civil rights movement. Delivered in the midst of this movement, Dr. King calls for urgency in fighting racial injustice and for nonviolent action in dealing with the moral issues of racism. He surveys the many aspects of the civil rights movement at the time and provides his wisdom on all these aspects. Listen to this excellent speech from Dr. Martin Luther King, Jr. available from the Forum Network on streaming audio. The Nobel Prize Awards were given out earlier this month, including the Nobel Peace Prize which instead of going to an individual went to the entire European Union "for over six decades contributed to the advancement of peace and reconciliation, democracy and human rights in Europe". 2009: Nobel Lecture by Barack H. Obama which he received "for his extraordinary efforts to strengthen international diplomacy and cooperation between peoples". 2007: Nobel Lecture by Al Gore which he received along with the non-profit he founded, the Intergovernmental Panel on Climate Change, "for their efforts to build up and disseminate greater knowledge about man-made climate change, and to lay the foundations for the measures that are needed to counteract such change". 2006: Nobel Lecture by microfinance economist Muhammad Yunus and his Grameen Bank "for their efforts to create economic and social development from below". 2005: Nobel Lecture by Mohamed ElBaradei, the former Director General of the International Atomic Energy Agency, "for their efforts to prevent nuclear energy from being used for military purposes and to ensure that nuclear energy for peaceful purposes is used in the safest possible way". 1993: Nobel Lecture by Nelson Mandela (who won along with Frederik Willem de Klerk) "for their work for the peaceful termination of the apartheid regime, and for laying the foundations for a new democratic South Africa". 1989: Nobel Lecture by the 14th Dalai Lama for his struggle for the liberation of Tibet that has consistently opposed the use of violence. 1979: Nobel Lecture by Mother Teresa "for work undertaken in the struggle to overcome poverty and distress, which also constitutes a threat to peace." 1964: Nobel Lecture by Martin Luther King, Jr. for leading non-violent resistance to racial prejudice in the United States. Beyond the Nobel Peace Prize Lectures you can watch video lectures on Nobelprize.org of Nobel Prize recipients in Literature, Economics, Physics, Chemistry, and Physiology or Medicine. Most of these go back about 10 years. The Nobel Prize in Literature Lectures - Lectures by Doris Lessing, Orhan Pamuk, Harold Pinter, V.S. Naipaul, and more. The Nobel Prize in Economics Lectures - Lectures by Paul Krugman, Daniel Kahneman, Joseph E. Stiglitz, and more. Enjoy these lectures from Nobelprize.org! In this episode from C-SPAN's Booknotes program, Zig Ziglar discusses his book Zig: The Autobiography of Zig Ziglar. Ziglar starts the interview by talking about his Christian faith and his thoughts on political and business leaders in America. In the second half of the talk he provides a glimpse into his life as a public speaker and many of the ideas he communicates in his motivational speeches including one of his primary mottos: "You can get everything in life you want if you will just help enough other people get what they want." He discusses many of the entrepreneurial adventures he took throughout his life and some of the lessons he learned. Learn about the life of one of the greatest motivational speakers ever! 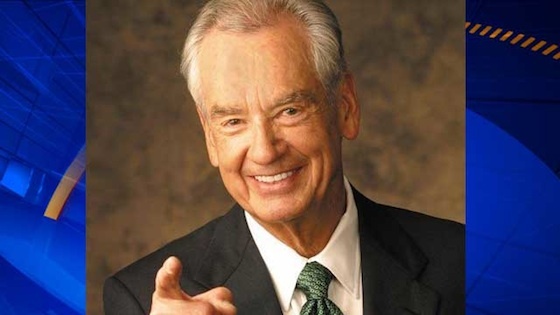 Zig Ziglar inspired listeners to achieve their goals for over 40 years as an author and public speaker. This podcast contains excerpts from Ziglar's recordings with advice and anecdotes on many topics. He began podcasting in 2006 and they kept all of his podcasts up on the feed. Listen to dozens of Zig Ziglar's motivational podcasts today. 50 years ago today, on October 22nd, 1962, President John F. Kennedy delivered a nation-wide televised address about the discovery of Soviet missiles in Cuba and the U.S. plan of action during the Cuban Missile Crisis. Watch or listen to Kennedy's speech during one of the major confrontations of the Cold War. The confrontation ended on October 28, 1962, when Kennedy and United Nations Secretary-General U Thant reached a public and secret agreement with Soviet Premier Nikita Khrushchev. Had a nuclear conflict, or possibly World War III, been initiated it has been estimated that 100 million Americans and over 100 million Soviets would have perished. 50 years later eight countries have detonated nuclear weapons and acknowledge that they possess nuclear weapons: the United States, Russia, the United Kingdom, France, the People's Republic of China, India, Pakistan, and North Korea. And it is widely believed that Israel possesses nuclear weapons, though it does not acknowledge having them. South Africa has the unique status of a nation that developed nuclear weapons but has since disassembled its arsenal. The Federation of American Scientists estimates there are more than 19,000 nuclear warheads in the world as of 2012, with around 4,400 of them kept in "operational" status, ready for use.